Congratulations on getting your plumbing website set up. But just so you know, there’s still more to do. If you don’t promote your website, you probably won’t see many people coming to check out your services. And, if you don’t have many people coming to your site, you’re probably not generating a lot of leads either. So, here are four simple ways to start getting more leads from your site. 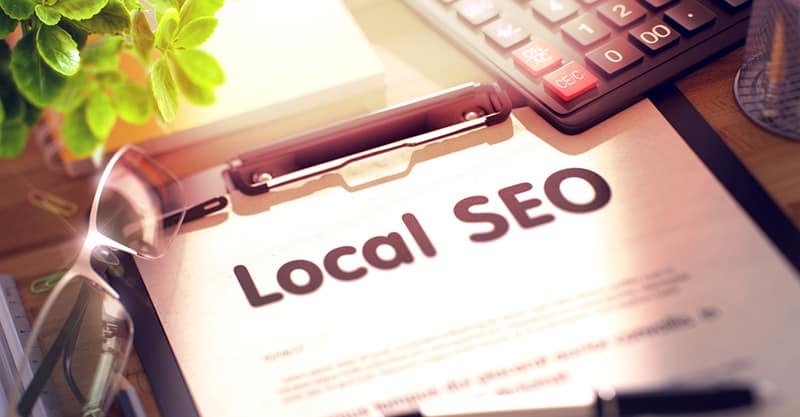 Local SEO is particularly important for businesses serving their immediate locality. Most people today use Google to find services they require. Rarely do they turn to the Yellow Pages anymore. So, if you aren’t showing up in search, you’re missing out on a valuable opportunity to build awareness. The first step in SEO is keyword research. This research will also prove valuable when you advertise your business using Google AdWords. There are basically two types of keywords – those that suggest the searcher is looking to hire a plumber (i.e. 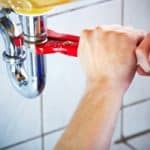 plumbing services in Boston), and those that suggest the buyer is researching or looking for DIY solutions (i.e. how to fix a clogged drain). There are many tools that can help you determine the search volume and competition of any given keyword. One such tool is Ubersuggest, which will suggest many possible keywords related to your industry. 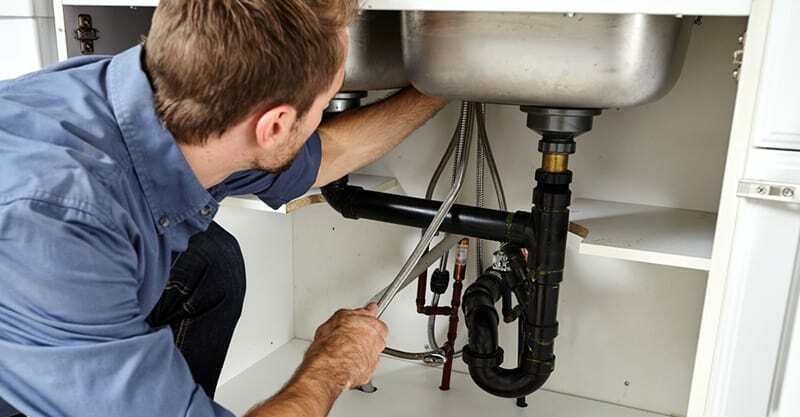 Simply entering the term “plumbing” will turn up terms like “affordable plumbing”, “bathroom plumbing service”, “bathtub repair”, and others. These keywords (i.e. those that apply) should be sprinkled within your content, on your website as well as your Google MyBusiness page. Avoid “stuffing” your website with keywords, however, as this signals to Google that your website is not legitimate. Keywords should always appear naturally within the flow of content. Link building and getting reviews will also play a significant part in your SEO. Get links from business directories and try to get links from sites your competitors are getting links from. As for reviews, encourage (and even incentivize) your customers to review your business on Google. I’ve already mentioned how important it can be to build links to your site. This signals to Google that you have a relevant website worth looking at. In addition to some of the places I’ve already mentioned, you might consider getting your services listed on trade websites. Checkatrade: Checkatrade is a website that helps connect customers with a reputable trade or service in their area. They can enter the specific trade they’re looking for, as well as their postal code to find local services. You will need to fill out an application to be considered for Checkatrade membership. 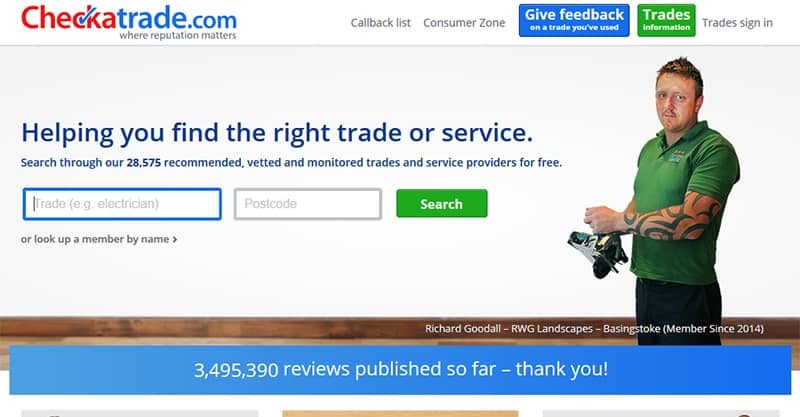 Rated People: Rated People works a lot like Checkatrade and connects customers with various trades. 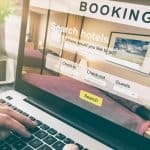 Businesses on Rated People are reviewed and rated by customers, so whenever a visitor is searching for a specific service they can get a sense of how dependable or reliable each business is. TrustATrader: TrustATrader is another site, much like Checkatrade and Rated People. Their site features tips for those looking to hire a tradesperson. They also have an app that makes it easy for their users to find a service on the go. 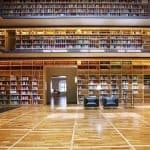 There are many other sites like the ones already mentioned. It’s worth signing up for each, though don’t commit to more than you can handle. As much as possible, you want to maintain a positive reputation with those you serve. So, if you become overwhelmed with requests and can’t deliver excellent quality service to all your customers, it could harm your reputation. Ranking in search is a good idea, and I already touched on SEO earlier. The only problem is that it can take a while for your optimization efforts to work. Generally, you won’t see results from your efforts for six to 12 months, though there are some instances where it happens sooner. Fortunately, there is another way to get instant visibility in search results. Using Google AdWords will push your result near the top of the results page, increasing the chances of searchers finding your website and becoming customers. 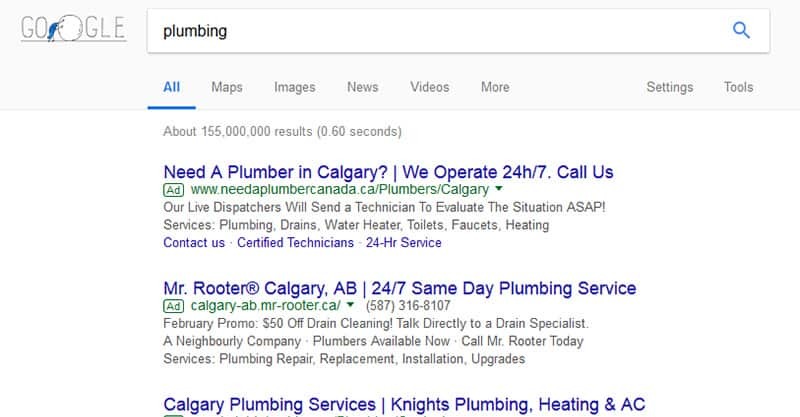 To determine what your competition is up to, simply type “plumbing” into Google. Unless you live in a particularly small town, you should see several competitor ads at the top of the page. You can see exactly what keywords and copy they’re using to promote their services. This can give you a good idea of what keywords to use, and even how to separate yourself from the competition. This initial research is an important part of setting up your ads. If you don’t take some time to do your homework, you’ll end up having to spend a lot of time tweaking and optimizing your ads later. 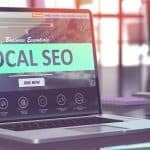 You may still need to do this to glean the best results possible from your ads, but you’ll be much better prepared if you take some time to investigate what competitors are up to and what keywords they’re ranking for. 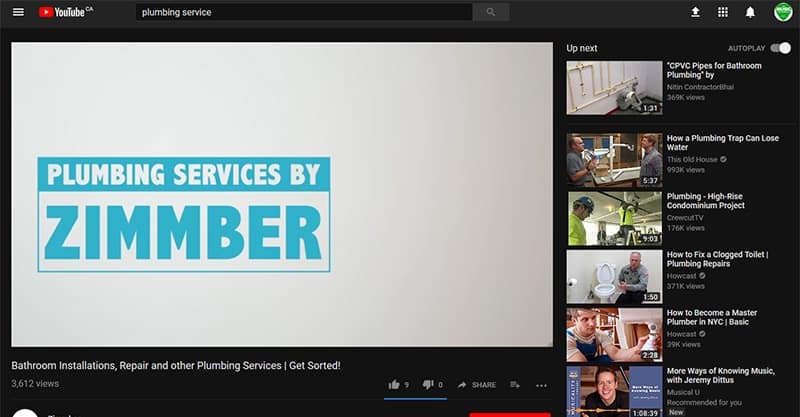 YouTube is a great place to promote your business. At first, this may not be apparent, because it doesn’t look as though it’s locally oriented. But just imagine the possibilities. For one, you can include your city and state in the title of your videos. YouTube is the world’s second biggest search engine, so it’s worth publishing SEO optimized content to increase your business’ online visibility. Two, you can embed videos on your website. This can increase the amount of time visitors spend on your site, which will also boost conversions. People tend to like visual content over walls of text, so that’s another good reason to create video content. This isn’t to suggest you don’t also need text-based content – you should have both! As far as what types of videos to create, there’s no need to get overly complex. First, create a video that makes your prospects aware of the services you offer. Mention the name of your business, phone number, and website address. This video does not need to be longer than 30 to 60 seconds. You’re just looking to relay basic information about your business. Second, create a video that poses a question to the viewer, such as “are you pipes leaking?” First, talk about the problems your prospects are experiencing. Then, talk about how you can solve their problem for them. Don’t forget – it’s all well and good to create a few videos talking about your business. But the best way to market yourself online is to keep making and publishing new content on an ongoing basis. Traditional marketing methods still work well for plumbers. But these days, it’s important to build your online presence, because more and more people are relying on Google to find service providers. 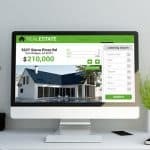 You’re as good as invisible online if you don’t set up your website, Google MyBusiness page, and social media accounts. So, use the above tips to establish yourself online. You may not see instant results from your efforts, but over time it all adds up.